This contest started on 11/7/18. This contest has a winner. 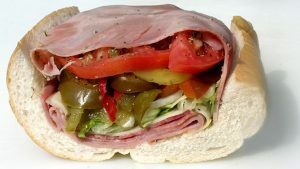 * Win A $20 LaSpaada’s Original Hoagies Gift Card. The $20 Gift Card is good at any LaSpada’s location (laspadashoagies.com for locations, menus, prices, info). It’s been a long time-would like to try them again. I’m in the Boca store at least once a week. I am an avid fan of their food. Monster or Italian? Tough decision. I love their tuna and chicken salad subs. Ive been a regular at their Coral Springs store for years. They make great subs. Their prices are right and their portions are gigantic. I love their food. Their tuna is amazing. You cant beat their sandwiches. Big customer in Coral Springs.